[CYBERJAYA] NEWLY REFURBISHED SERVICE SUITES CYBERVIEW. Semi D For Rent@ Bandar Tun Hussein Onn Cheras. Luxury Bungalow in high end gated community. Luxury Bungalow house for sale(undermarket price)/rent. Garden Villa For Rent At Kiara 9, Mont Kiara. Garden Villa for Sale/Rent in Kiara 9. BUKIT JALIL GOLF & COUNTRY RESORT, KL TO LET. Villa FOR RENT AT KENNY HEIGHTS Villa, SRI HARTAMAS. 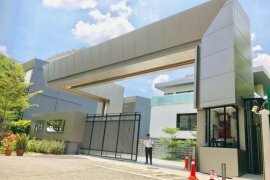 Setia eco Village, Double Storey, Gelang Patah, Nusa Jaya, J. GOLF WEST Semi-D located at Nusajaya Horizon Hills. 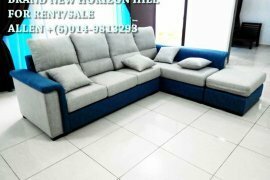 Nusa Duta Semi-D (Fully Furnish) Bukit Indah For Rent. Country Heights Kajang Banglo For Rent. Hello, Please contact me, I am interested in villas for Rent in Malaysia. Best Regards. Dot Property Malaysia is an online property portal where thousands of property searches happen every day. Start your search today for affordable property for rent in Malaysia from 16 available listings. Condominiums, houses, townhouses, villas, commercial space, and luxury properties are available for rent in Malaysia. Malaysia’s properties for rent are either listed by private home owners or property agents such as Accom Asia Co.,Ltd, brylle martinee and Deux Diaz. Refine your search to help you find the perfect Malaysia property by price and number of bedrooms.